When he was an old man, Gladstone decided to found a library. William Gladstone (1809-1898) was Prime Minister of the United Kingdom four times. He grew up in Liverpool; no doubt his youth surrounded by poverty spurred him to fight for voting not to be restricted by income, and no doubt his youth surrounded by the Irish diaspora remained on his mind as he worked towards Irish independence. He lived a careful life, closely examining and recording all his actions, and since he recorded in his diary every book he read, we know that he read on average a book a day for most of his life. When he was an old man, he decided to found a library: the stock was already to hand, since he had kept thousands of the books he had read. 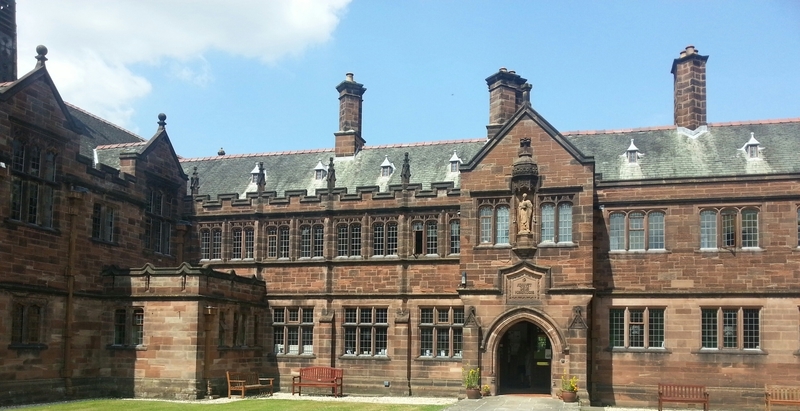 The library was duly set up in a temporary building at Hawarden in Flintshire, and (it is said) the 85-year-old Gladstone delivered most of the books personally, trundling them from his house in a wheelbarrow. After Gladstone's death, the library was rebuilt in beautiful sham Gothic stone. It's still there, now with a quarter of a million volumes, and I encourage you to visit it if you can: it's one of the few libraries where you can board for days or weeks as well as study. There are regular events and workshops, but it's also especially popular with authors trying to finish manuscripts: the chance to work uninterrupted in a peaceful atmosphere of study can work wonders.